Helping Build Successful Bakeries for Over 35 Years! 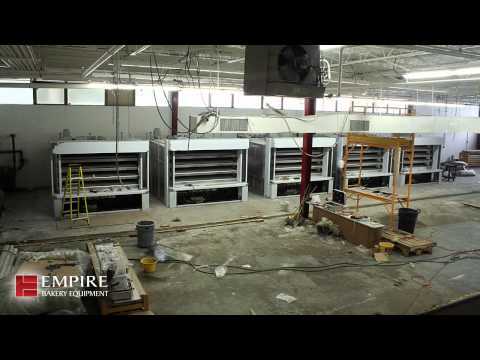 Empire Bakery Equipment is a privately owned company providing bakery equipment and systems to the baking and food service industries. Established in 1977, we began as a dealer for various importers of European equipment and machinery, while providing advice and support for many of our wholesale customers. Throughout the years, we have enjoyed significant growth while establishing and maintaining a loyal customer base. Today, we are proud to be America ’s leading supplier of bakery equipment. We believe that the greatest measure of our success is your success. Therefore, we strive to provide you with superior knowledge, quality service, and the highest level of integrity to assist you in all of your baking endeavors. We have an established network of service agencies throughout the United States to service our customers in even the most remote areas. Our goal is to create more than satisfied customers - we strive to create RAVING FANS! We believe that strong, long term relationships with our suppliers and customers allows us to better understanding your needs as well as inspires better performance and service by our manufacturing partners. We are proud of the relationships that we have developed through our continued commitment over the last 35 years.